Flight Number 190: Encountered severe turbulence and flight attendant broke ankle, landed without further incident. A pilot rated witness at the accident airport reported that, the wind was 5 mph from the southeast when he observed the accident airplane land. He added that, during the approach, the airplane appeared to be low and fast. The airplane landed hard, bounced about 4 to 5 ft in the air and touched back down on the runway. He added that it appeared that the pilot tried to give the airplane power to recover, but while the airplane was about 2 ft off the ground it was turning to the left. The wings then leveled for a short time before the airplane aerodynamically stalled and nosed over into brush. The pilot reported that while "taxiing", he "over sped" the tailwheel-equipped airplane, and the left main landing gear impacted a berm. Subsequently, the airplane veered left, bounced, the right wing impacted the ground, and the airplane then ground looped and came to rest nosed over. The airplane sustained substantial damage to the fuselage and windscreen. Medevac Bell 407: Main rotor contacted a tree. Struck a turkey during landing roll out. 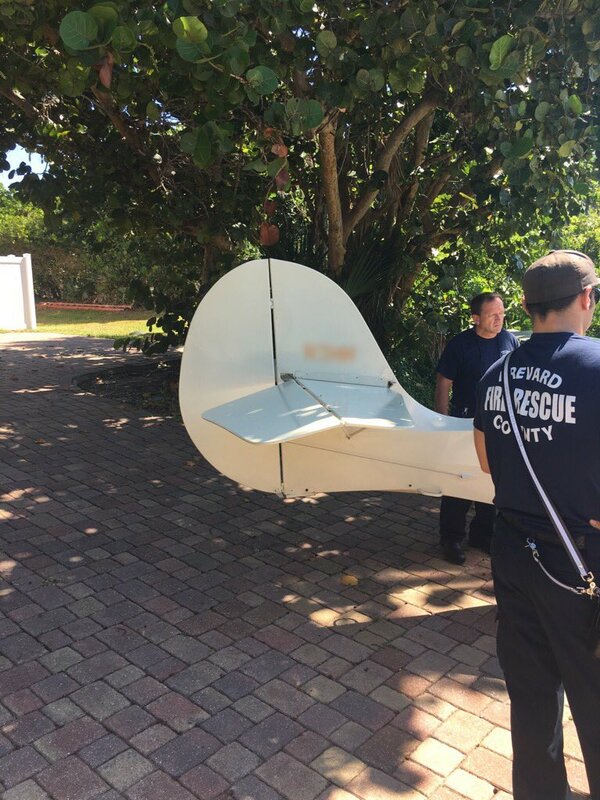 On October 13, 2018, about 1205 eastern daylight time, an amateur built Avid Flyer, N3HH, was substantially damaged during a forced landing following a loss of power near Palm Bay, Florida. The private pilot and passenger were not injured. The personal flight was conducted under the provisions of Title 14 Code of Federal Regulations Part 91. Visual meteorological conditions prevailed, and no flight plan was filed for the local flight, which departed Okeechobee County Airport (OBE), Okeechobee, Florida, about 1115. The pilot reported that the airplane was in cruise flight when the engine rpm began to decrease, then the engine lost all power. He was able to restart the engine, but full power was not restored. The engine continued to run at a low idle rpm, so the pilot elected to perform a forced landing to a road. A Federal Aviation Administration (FAA) inspector examined the airplane and noted there was substantial damage to the fuselage tube structure. After an initial examination of the engine, it was started and ran for several minutes around 3,500 rpm. Additionally, both magnetos produced an acceptable drop in rpm when checked. The two-seat, high-wing, fixed-gear equipped airplane was manufactured in 2016. It was powered by a Rotax 582, 65-horsepower engine. At 1153, the weather conditions reported at Melbourne International Airport (MLB), Melbourne, Florida, about 10 miles north of the accident site included, wind from 050° at 8 knots, visibility 10 statute miles, scattered 2,000 ft, temperature 30°C, dew point 20°C, and an altimeter setting of 29.93 inches of mercury. 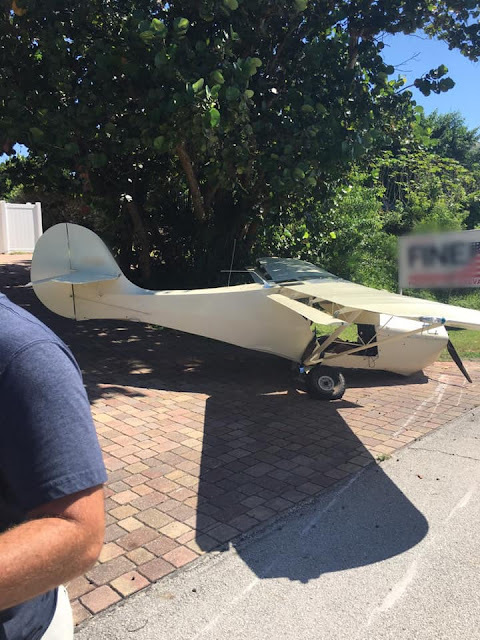 For the second time in less than a week, a plane made an emergency landing along a Brevard County roadway. Brevard County Fire Rescue responded after the airplane made an emergency landing on a roadway in south Melbourne Beach after noon Saturday. 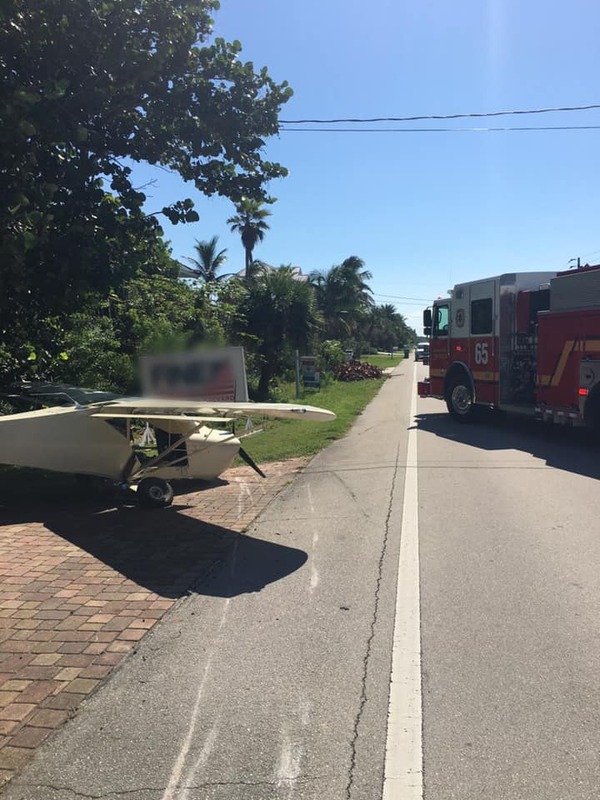 No injuries were reported when the aircraft landed on Caledonia Drive, a short dead-end street off State Road A1A. The two occupants inside were able exit the plane. 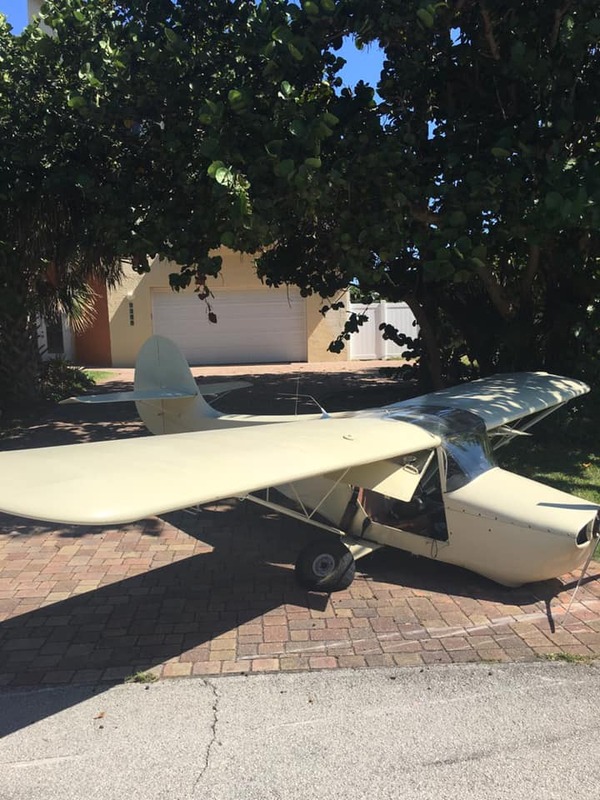 Brevard County Sheriff’s Office deputies were on the scene, and the Federal Aviation Administration had been notified by local agencies. Executive Jet flight 521 Textron 680A: Reported a possible animal strike. Made a precautionary landing in a lake. On October 12, 2018, about 1304 central daylight time, a Grumman AA-5B airplane, N81383, collided with terrain while maneuvering to land at Rooke Field Airport (RFG) near Refugio, Texas. The pilot sustained serious injuries, and the airplane was substantially damaged. The airplane was owned by the pilot and operated under Title 14 Code of Federal Regulations (CFR) Part 91. Day visual meteorological conditions prevailed for the personal cross-country flight that departed Silver Wings Airport (TS36), near Fredericksburg, Texas, about 1120. Amy and Wesley Fojtik and their son, Cort. On October 12, 2018, at 1841 central daylight time, an Air Tractor AT-502B airplane, N6135P, impacted an antenna tower near Placedo, Texas. The pilot was fatally injured. The airplane was destroyed by impact forces and a postimpact fire. 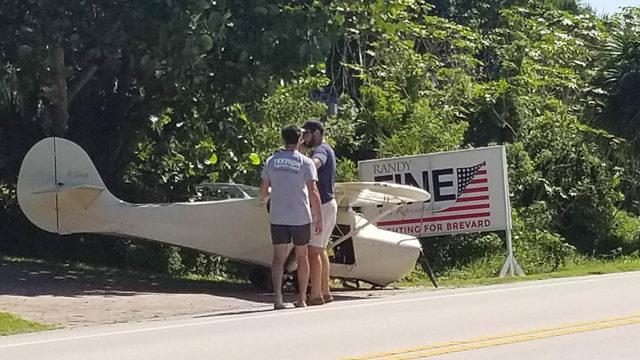 The airplane was registered to and operated by Coastal Flying Service Inc., Ganado, Texas, as a Title 14 Code of Federal Regulations Part 137 aerial application flight. Visual meteorological conditions prevailed at the time of the accident. The flight was not operated on a flight plan. The local flight originated from the operator's private airstrip near Ganado, Texas, about 1730. A representative of the operator stated that during the accident flight, the pilot was applying herbicide to a pasture about one-half mile east of the antenna tower. The pilot had reviewed the area online before the flight and was aware of the presence of the tower. A witness reported that he heard the airplane fly over and impact the antenna tower. He looked out of a window and observed the airplane "fall from the sky." The airplane was on fire as it descended after striking the tower. The accident site was located about 700 ft west-southwest of the radio antenna tower adjacent to a two-lane paved roadway. The main wreckage consisted of the fuselage, wings and empennage, with exception of the right horizontal stabilizer. A section of the antenna tower structure was intertwined with the right wing. The fuselage nose section, including the engine assembly, was separated and located near the main wreckage. The propeller had separated and was located on the opposite side of the road. The left horizontal stabilizer was partially separated. The right horizontal stabilizer was separated and located in the debris path. 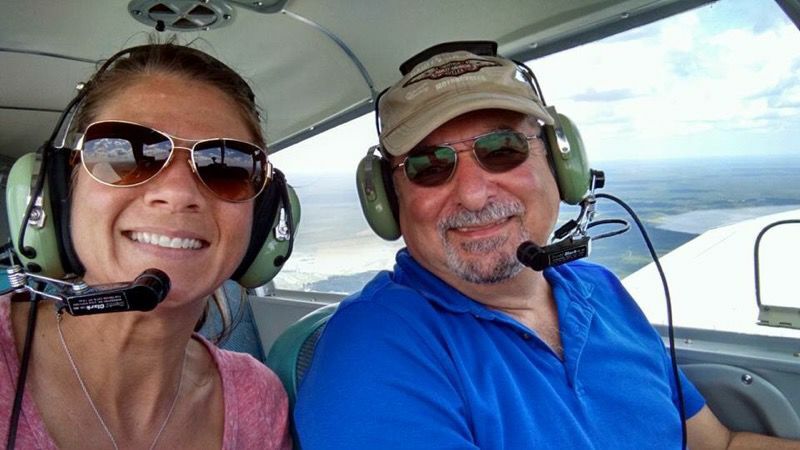 Wesley Jerome Fojtik’s passions were his family, God and being a pilot, friends said Sunday. Fojtik, 40, of Edna, was flying a crop duster when he crashed into an antenna tower in the 6600 block of Farm-to-Market Road 616 east of Placedo about 6:30 p.m. Friday. He died in the crash, which the National Transportation Safety Board is investigating. Fojtik was flying an Air Tractor AT-502B owned by Coastal Flying Service, Inc., according to the Federal Aviation Administration registry. Fojtik was the only passenger. National Transportation Safety Board officials moved the plane to a secure facility for further examination Sunday. Those who work in agriculture aviation are close-knit, said Ryan, who has known Fojtik and his family for three years. Fojtik left behind his wife, Amy Fojtik, and 6-year-old son, Cort. Ryan said when a pilot is flying a plane, especially in agriculture aviation, there is no room for errors, and one error can end a pilot’s life. 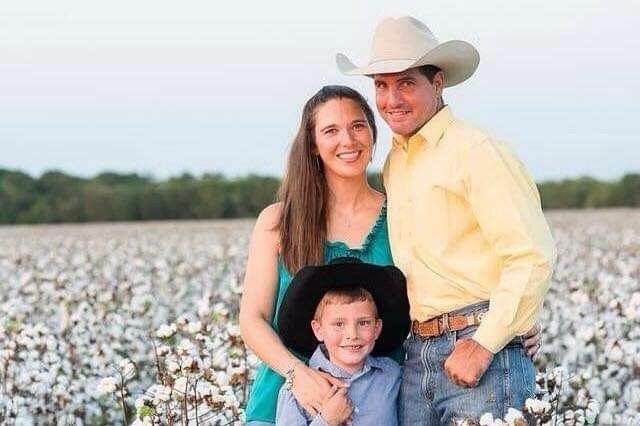 Ryan’s family owns an aviation agriculture service in the Crossroads, and her brother was injured during a plane crash in May 2017 in El Campo because of engine failure. During his recovery, the agriculture industry came together to help pay his medical expenses. The Fojtik family participated in all six events to raise funds. Mike Thompson, 59, of Garwood, also owns an agriculture aviation service in his community. He met Fojtik about 12 years ago and had been friends with him since then. Earlier this year, Fojtik helped Thompson with no hesitation when his company was in a bind during a crucial time for rice farmers to have their crops sprayed and fertilized. Thompson said he’s most thankful to God for sharing Fojtik with everyone who loved him. The pilot reported that, while maneuvering at low altitude over a field during an aerial application flight, he was focused on the top of the electrical poles that paralleled the field. He added that he crossed between the electrical poles and was focused on the pole to the right of the airplane. Once he crossed the top wire he focused his attention forward, but added that he "was staring at a 30-ft tower just to the left of the nose" of the airplane. The airplane struck the tower and then impacted the ground. The airplane sustained substantial damage to the empennage. The pilot's failure to see and avoid a tower during an agricultural application flight. Accidents involving collisions with obstacles, including poles, wires, guy wires, meteorological evaluation towers, or trees, are among the most common types of agricultural aircraft accidents. Some collisions involved obstacles that the pilots did not see (even during survey flights), but others involved obstacles that were known to the pilot and/or had characteristics that would make them visibly conspicuous. Maintain a quick-reference document (paper or electronic) at the operations base that contains field maps, charts, photographs, and details of all known obstacles. Frequently review current aeronautical charts for information about obstacles. Before leaving the ground, spend time becoming familiar with all available information about the target field and programming navigation equipment. Such preflight action can help reduce the potential for confusion or distraction in flight. Conduct aerial surveys of the target field but do not rely solely on an aerial survey to identify potential obstacles. Conduct regular ground surveys of fields. Some towers can be erected in hours, and obstacles can change since you last worked that field. Speak with farmers and land owners to raise awareness about obstacle hazards. When possible, use ground crews. They may be in a better position to see certain obstacles and help you ensure that your aircraft remains clear of them. Watch for shadows and irregularities in growth patterns to help identify obstacles. Use GPS and other technology to maintain awareness of obstacle locations. Be aware that workload, fatigue, sun glare, and distractions in the cockpit can adversely affect your ability to see, avoid, or remember obstacles. Heavier loads and higher density altitudes can affect the performance of your aircraft. See http://www.ntsb.gov/safety/safety-alerts/documents/SA_035.pdf for additional resources. 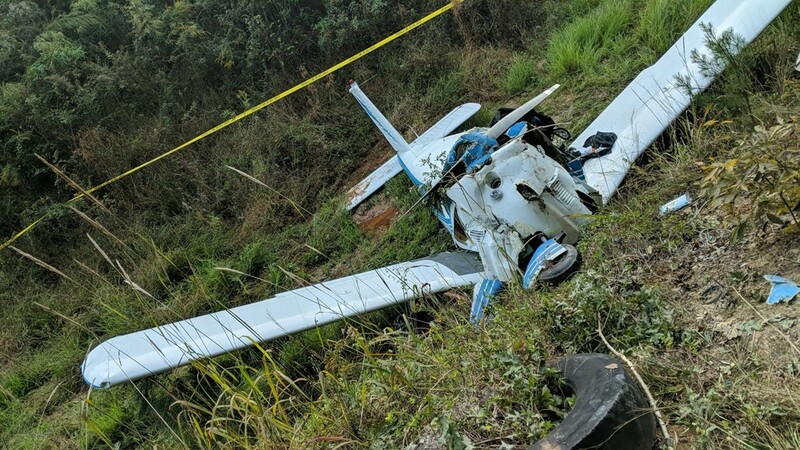 On October 13, 2018 about 1430 eastern daylight time (CDT), a Piper PA-28-180, N180QT, was destroyed when it impacted terrain in Cartersville, Georgia. The airplane departed from Gainesville Regional Airport (GNV), Gainesville, Florida, enroute to Tom B David Field Airport (CZL), Calhoun, Georgia. The private pilot was fatally injured and the airplane was destroyed. Visual meteorological conditions prevailed for the personal flight that was conducted under the provisions of 14 Code of Federal Regulations Part 91, and no flight plan had been filed. The initial point of impact was located on the embankment of a ravine, next to a high-tension power line right of way. The aircraft struck the ground at an approximate 90º nose-down flight attitude. Prior to impacting the ground, the airplane impacted the outboard bundle of high-tension wires and branches of a tree. The initial impact point on the north side embankment contained pieces of the propeller spinner and windscreen. The main wreckage, consisting of the engine, wings, fuselage and empennage, came to rest at the bottom of the embankment in a muddy ravine. This is Paul Deep. Family says the Clay County, Florida, father and Navy veteran was killed when his plane crashed on the way to Georgia this weekend. 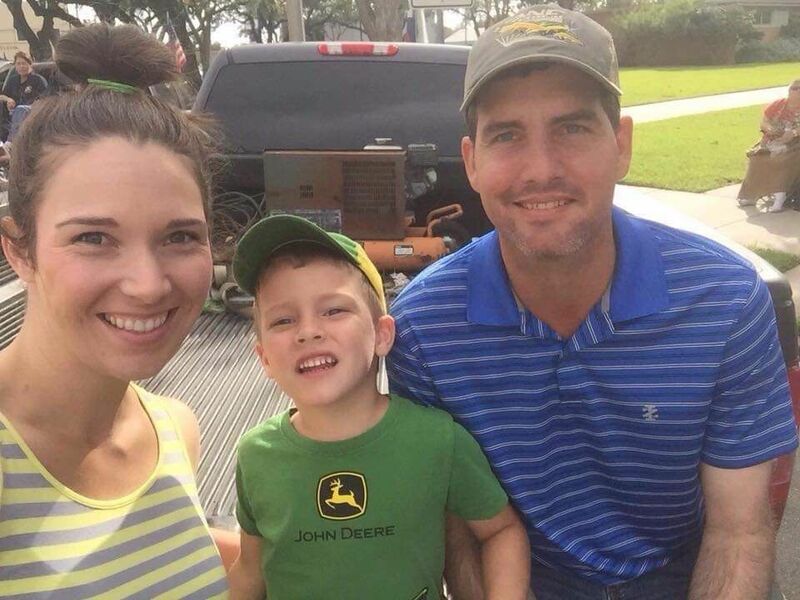 A Clay County father was killed in a plane crash in Georgia, according to family. Investigators are working to determine what caused a Piper PA-28 Cherokee to crash just south of Cartersville, Georgia, on Saturday. Family tells Action News Jax that Paul Deep was on his way to see family. The night before, Deep was at American Legion Post 250 in Middleburg, cooking for the members. “He was super excited for his adventure the next day, to go see his great-grandson and surprise them with a visit,” Peggy Newsome said. Newsome said Deep, a Navy veteran, was a mentor to her and touched many lives in the community. 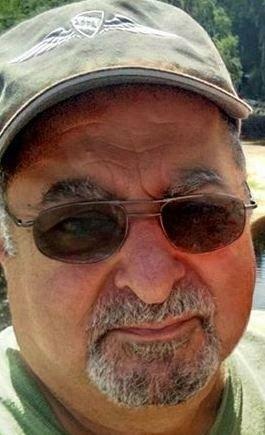 He was known to many from his restaurant, Aerial's, and the hardware store off County Road 218. Joshua Skipper said his first memories of Deep are from working at the hardware store. “He was always real hard on me, made sure I was a hard worker,” Skipper said. Years later, he said he started competing with Deep in barbecue cook-offs. This November would’ve been Deep’s 30th year competing in the Big Pig Jig, a barbeque cooking contest. Skipper said he still plans to compete to pay tribute to Deep. Members of the American Legion Post say they are also working on a way to honor him. "He encouraged the best in people," Newsome said. "That’s how he touched so many people." Florida resident, Paul Deep, right, reportedly was the victim of a fatal airplane crash on October 13th in north Paulding County. 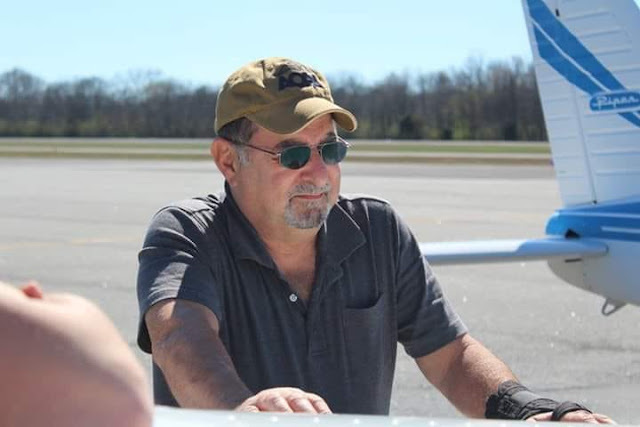 A Clay County father, restaurant owner and Navy veteran died Saturday when his plane crashed south of Cartersville, Georgia. Paul Louis Deep, 70, was flying from Gainesville to Calhoun, Ga., to visit family before his Piper PA-28 Cherokee crashed, according to family members. Whitehead, who was adopted by Deep with her older sister Christina, said the incident was surprising since Deep always put safety first when it came to flying. Deep was also known for his love for food. He owned Aerial’s Steak & Seafood restaurant in Middleburg, and he frequented the American Legion Post 250, where he cooked for members the night before the crash. Whitehead said Deep initially called her husband to let him know he was visiting, but Whitehead was the one who answered. Besides Aerial’s, Deep owned C & L Hardware for over 20 years before the store burned down in 2007. Deep’s wife, Valeria, passed away Oct. 14, 2005, after battling breast cancer. ATLANTA -- Deputies confirm one person is dead after a plane crash in Paulding County. 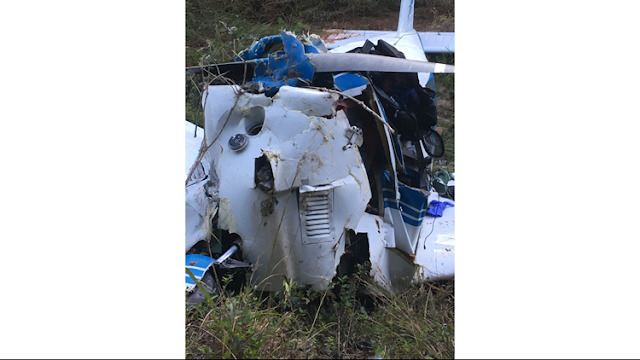 Paulding County Sheriff's Office spokesperson Ashley Henson said the airplane was a single engine aircraft and that the crash itself happened near the Bartow County line. According to Federal Aviation Administration spokesperson Jim Peters, the crash was discovered around 6 p.m. - about one mile south of Cartersville and 20 minutes off the nearest major highway. Winkles said Greystone Power got a call around 3 p.m. about property damage - something going on with the power lines. "Then, a subcontractor for Georgia Power discovered the plane crash and called Paulding County about 5:30," he said. The Piper PA-28 Cherokee had taken off from Gainesville Regional Airport in Florida. It was heading for Tom B. David Field in Calhoun, Georgia when it crashed according to the Federal Aviation Administration. Federal authorities haven't released any other details on the crash or the victim in the aircraft as the investigations by the Federal Aviation Administration and the National Transportation Safety Board are still ongoing. But Winkles did say that there was no sign of fire on the plane when crews found it. For now, deputies have set up a perimeter around the scene to keep passersby out since the rural section where the plane crashed is popular among ATV riders.